Free Excel Inventory and Sales Template for Retailers. Download the ultimate inventory and sales spreadsheet to stay on top of your retail business. Spend less time crunching the numbers and devote more energy to running and growing your business. No need to manually calculate your sales and inventory data. Just enter your product and sales information, and the template will automatically display the answers you need. Vend’s Excel inventory spreadsheet has formulas for calculating crucial stock control metrics. It helps you better understand product performance and make smarter inventory decisions. Get the most important metrics in one place. We compiled essential retail formulas and put them in easy-to-understand spreadsheets so you can get insights faster. With just a few clicks, you can get an at-a-glance view of general store performance while still being able to drill down on how each item is doing. Get vital inventory and sales data instantly. Use this tool to calculate metrics like GMROI, stock turn, shrinkage, conversion rate, and more. You won’t have to worry about formulas or Excel tables. Just type in the data you already have and this tool will take care of the rest. Vend’s Excel inventory and sales template helps you stay on top of your inventory and sales by putting vital retail data at your fingertips. We compiled some of the most important metrics that you should track in your retail business, and put them into easy-to-use spreadsheets that automatically calculate metrics such as GMROI, conversion rate, stock turn, margins, and more. 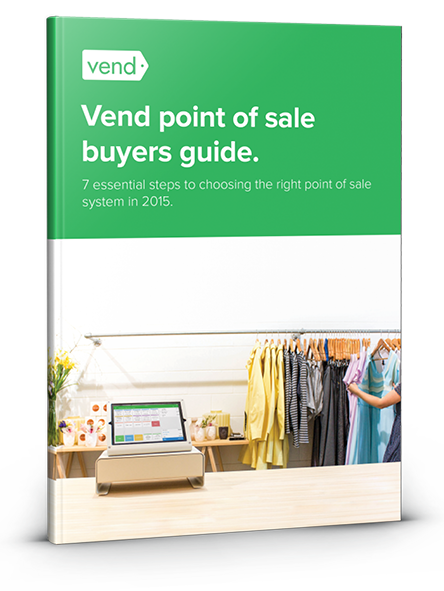 No need to manually do the math; Vend’s retail workbook crunches the numbers for you, so you can focus on gaining insights and growing your business. This template is for retailers who are using manual and cumbersome systems (i.e. pen and paper) in their business. If you’re still recording inventory and sales by hand and you’re looking for a faster and easier way to stay on top of your stock control and sales, this resource is for you. What formulas and metrics does it cover? This metric measures the average of your beginning and ending inventory. It gives you an estimate of the average inventory amount for a particular period. COGS is the total of all costs associated with creating goods that have been sold. It tells you how much your expenses are every time you make a sale, and it’s often used to determine pricing. This is your total revenue (equivalent to total sales) minus the cost of goods sold. It’s how much you make after deducting the costs of creating and selling your products. Also known as stock turn, inventory turnover is the number of times stock is sold through or used in a given time period. In most cases, the higher the stock turn, the better it is for your store because it means you’re selling a lot of merchandise without stocking too much inventory. Sell through is the percentage of units sold versus the number of units that were available to be sold. You can use this metric to evaluate product performance. This is shrinkage rate expressed as a percentage. It’s the value of lost inventory divided by sales during the same period. Gross profit pertains to revenue minus that cost of goods sold. In other words, this is the amount of profit you take home once the costs associated with making and selling the merchandise are deducted. Conversion rate is the proportion of store visits to the number of shoppers who made a purchase. It helps you measure the performance of various in-store components, including customer service, merchandising, and more. Average basket value (aka average transaction value) tells you the average customer spend in your store. It can give you a macro view of how much people are spending as well as the types and quantity of items they buy. I have questions and feedback. How do I get in touch? We’d love to hear from you! If you have questions or suggestions on how we can improve this tool, send us an email here. 10 Key Performance Indicators Every Retailer Should Track. The complete Inventory Management Guide. Get your free Excel Inventory and Sales Template now!